Experience 'Niagara's Ultimate Adventure' on a 45-60 minute jet boat tour through the Class V Devil's Hole rapids! Guests will enjoy awe-inspiring scenery and learn about the history of Niagara on a wet or dry tour. 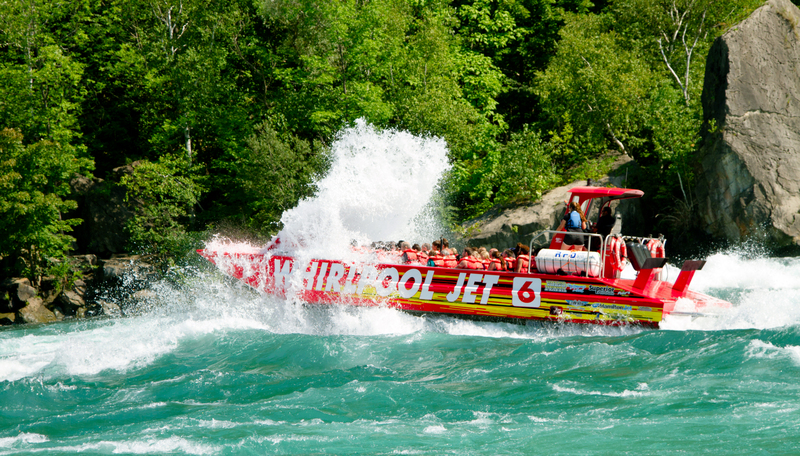 Specially designed 1500 horsepower jet boats plunge directly into the rapids, scooping up hundreds of gallons of water and delighting guests! Great for ages 4+.